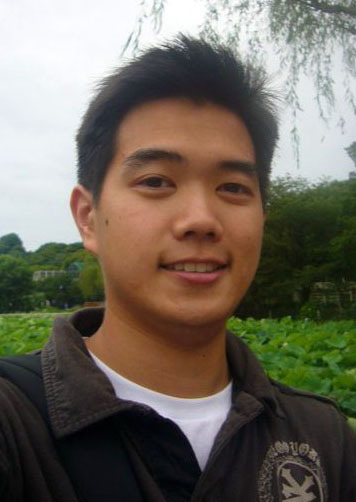 AnimSchool would like to introduce Dustin Han, an AnimSchool student in our Character Program focusing on rigging. Dustin, can you tell us a little about yourself and what 3D experience you had before entering AnimSchool? 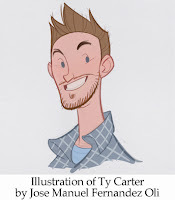 I recently graduated from a 4 year college before coming to AnimSchool. I studied Computer Engineering with a minor in Studio Art. I did some Flash development work at a start-up social gaming company before deciding to pursue my interest in 3D. I actually had very little experience with anything 3D or CG related before entering AnimSchool. The only experience I had coming into AnimSchool was a single class I took at my university that covered the very basics of using Maya. 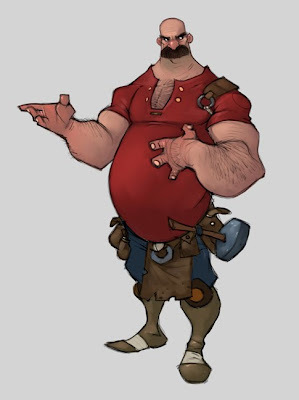 However, because I was a student studying computer engineering and studio art, I did have a good foundation in both programming and fine arts which has been a tremendous help during my time learning to rig and model characters at AnimSchool. Are there any artists that inspire you? I don't necessarily have a list of artists in my mind that I can just start talking about especially because there are so many inspirational artists out there that it would make it difficult for me to pick a few. In general, the artists who inspire me most are those who love doing what they do and clearly show this through their work and dedication. This pretty much goes for anyone I come across, artist or not. Also, artists who started from a dream and made it into a reality through hard work and perseverance are great inspirations to me as I hope to one day have similar success. What did you find the most challenging about modeling your character? It was definitely challenging to convert a 2D image into a 3D model especially when you only have one reference picture to look at. A lot of the character was left to my imagination such as what his back side might look like, but this challenging aspect provided a great learning experience and just made the modeling process more rewarding. Also, being my first full character model, it was definitely challenging just to get the model to look appealing and match the artwork. I found it difficult to get the sharp corners found in the character design into my 3D model especially when trying to keep the topology reasonably low. I went to one of the general reviews provided by AnimSchool near the end of the term which definitely helped and looking back I wish I could have attended more to improve my model. So future students, I definitely suggest you guys attend these review sessions as you can never have too many people critique your work. You have your character posed out. Did you model him in a T pose and then pose your character or pose your character out and then transfer him into the neutral pose? Is there anything you would change about the process you did for the next character you model? We first blocked out our characters in pose with basic low poly primitive shapes such as cylinders, cubes, and spheres in order to have a reference later when putting it back into pose. From there, we moved the model into T-pose and began modeling it from there. This made it easier to get proportions right and to mirror over left and right sides. After finishing the model we used our blocked pose as reference to get it back into pose and apply final touches such as wrinkles on clothes and accessories such as my character's hammer and bags. I really enjoyed the process we took into creating our models so I'm not sure I would change too much. Although, because we modeled with the intention of basically just creating a statue, for my next model I will probably pay more attention to modeling with the needs of rigging in mind beyond what was covered in class. This includes things such as providing enough topology for deformations and making sure the model is easily skinned since the model I made in the intermediate class is made up of several meshes in order to make it easier to pose the character. My model actually has no torso or legs under his clothing. As I continue to study rigging and creating more rigs, I believe I will start to understand more of what the needs are for future models I make. How did you become interested in becoming a Rigger? 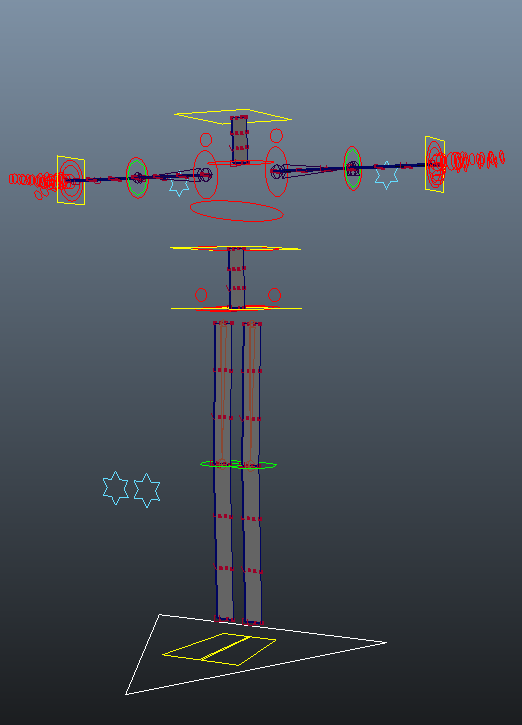 Initially, I did not realize rigging even existed when I first became interested in 3D and animated films. All I knew was I wanted to be a part of making the amazing films I was seeing in the theater. It was only natural for me to want to become an animator at first since the animations were what I was seeing at the top layer of the films I was watching. I did not realize there was so much more happening underneath. Because of this mindset, I often pushed aside my dreams of becoming an animator due to my technical degree in computer engineering and not wanting to put it to waste. I figured I could maybe land a job as a software engineer at a video game or film company. However, as time went on, I began to realize I could not simply ignore my interest in the creative and artistic aspects of things because it was just a big part of who I was. With that, I began to research and found that there were positions in game and film companies called Technical Directors/Aritsts where both (although varying between positions) technical and artistic skills are used. It kind of just opened my eyes to the industry and helped me to continue pursuing my dream. I decided to focus on learning to rig because I really enjoy characters in films and would love to work directly with them. Eventually though, I would love to delve into other aspects of the pipeline. 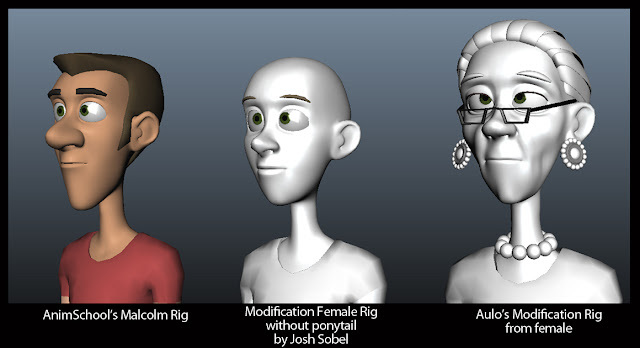 Now that you've had a couple of rigging classes at AnimSchool, do you view 3D films differently? What do you notice now, that you didn't before? The classes have definitely opened my eyes to the amount of work it takes to create a feature level rig. 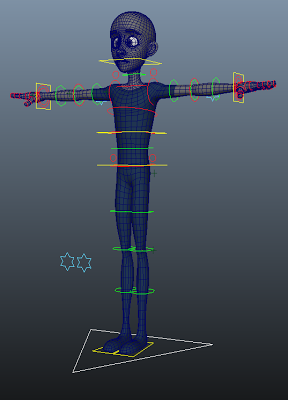 There are just a ton of things to take into consideration when designing a rig for animation. Now when I watch animated films I'm even more amazed by what I see as I now have a better appreciation of how much effort goes into developing these rigs. Coming into a rigging class with no prior knowledge, I naively thought it was just placing bones into a character to allow them to move and be animated, but there are just several more layers of complexity on top of that including creating clean deformations, understanding relationships between the different parts of the rig, and taking advantage of these relationships to provide a flexible and intuitive rig for animators to use with ease. Looking back at past films, what character would you have loved to model or rig? Why does this character interest you? I am a big fan of the Toy Story films so I would have loved to rig Woody or Buzz. It's amazing how much emotion and character can be brought out from a toy through animation. I can only imagine how challenging it was to rig a toy in order for it to come to life yet retain its toy-like qualities during the animation process. How has your experience been at AnimSchool? Do you have a favorite process or tip that you've learned? My experience at AnimSchool has been great. I have learned so much in the 4 terms I have been here. Just being taught by industry professionals who have worked on some of my favorite films is an amazing experience as you can be confident in knowing that what you are being taught is relevant to what companies want to see. The AnimSchool community is great and everyone is so supportive of one another. It's just a great feeling to learn with people sharing similar goals. I've become much more confident in general after producing work I never could have imagined before entering the program. I have learned so many great things from AnimSchool that it's difficult to pick a favorite, but just because it's fresh off my mind from this past term of intermediate rigging, I really enjoyed my instructor's (Ignacio Barrios) approach to creating IK FK Switches (or any kind of space switch) with the use of Maya's blend color nodes where you simply blend the transformation values of the IK and FK joints together to provide the values for the driver joints as opposed to using constraints. It was just a great example of how there isn't just one way to solve a rigging problem. AnimSchool is moving to a new server during the Term Break. In the next few days, there will be a transfer period when AnimSchool.com will be unavailable. 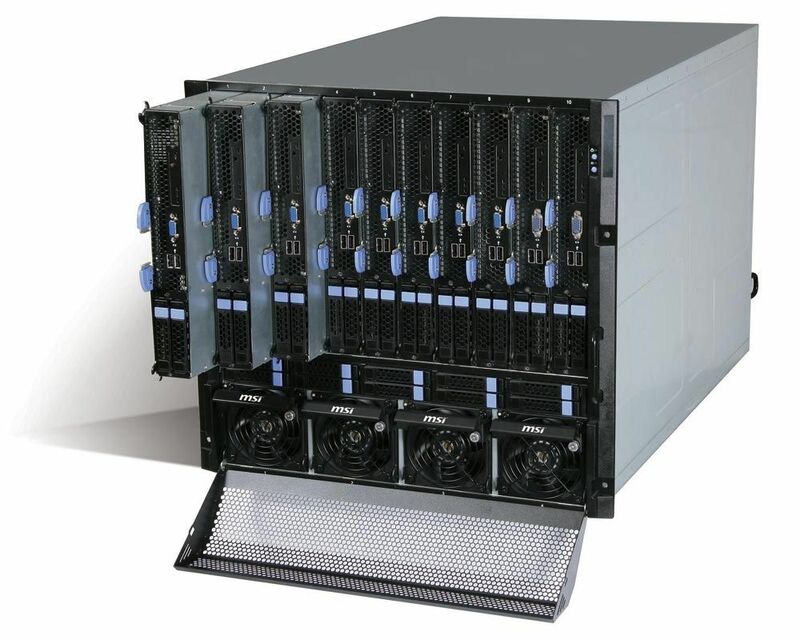 Please stand by, while we get the new server switched over. 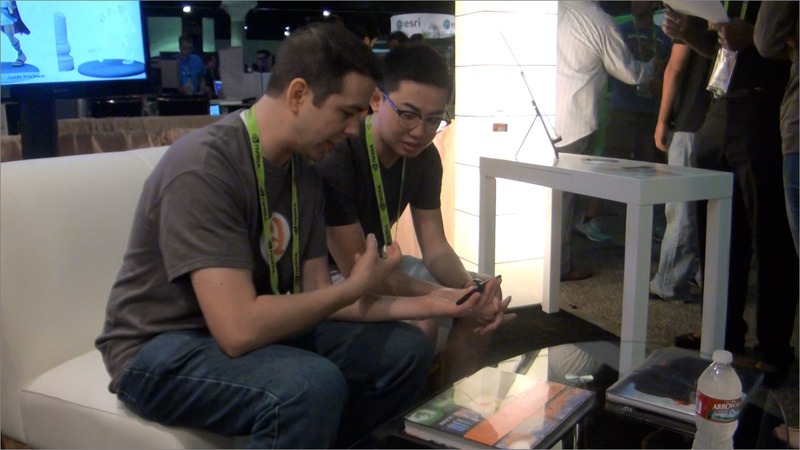 AnimSchool's founder, Dave Gallagher, reviews Ernesto Ruiz Velasco's 3D model. Dave goes into detail on how to increase appeal, focusing on making a character look more youthful. AnimSchool has these General Reviews for animation, modeling and rigging students every week for those who would like an extra critique outside of class. AnimSchool student Eyad Hussein reports on his term at AnimSchool! "It’s been three months since I updated my blog; I was very busy with my first term at AnimSchool.com (and with my full-time job! 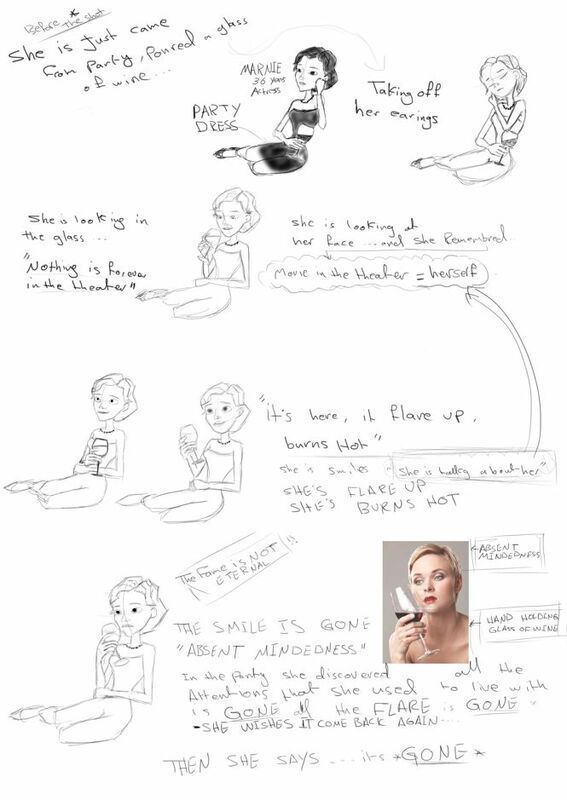 )… I wrote this article to summarize the assignments that I did within this term at AnimSchool. "First, I was extremely lucky in this term to be one of Sabine Heller students; I had wonderful days having Introduction to Rigging with her. 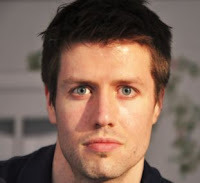 And before I start showing my term assignments, I would like to talk a little bit about Sabine...."
Dreamworks Supervising Animator Hans Dastrup is joining AnimSchool Winter Term! He will be teaching a General class--for all AnimSchool students--teaching them how to improve their shots and assignments. Hans has a strong reputation in the animation industry for being a versatile performer-- capable of the finest subtle acting, as well exaggerated comedic and physical shots. 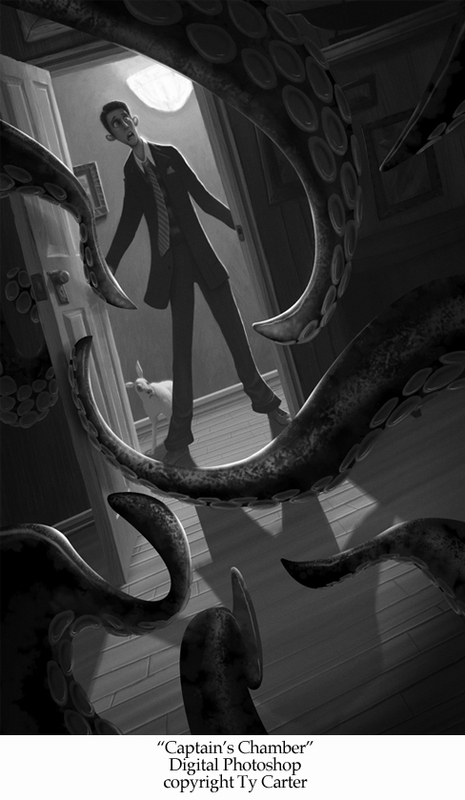 We are thrilled to have Hans Dastrup here at AnimSchool. He's the latest addition to all we offer our students: the highest quality resources, characters, and industry talent. To learn directly from Hans during Winter Term, apply to be an AnimSchool student. Character Animation Reel from Hans Dastrup on Vimeo. AnimSchool Instructor, Mike Mattesi, explains the mechanics of the Radius and Ulna, and shows how understanding anatomy helps you in drawing the figure. Come join all the students learning online at AnimSchool. 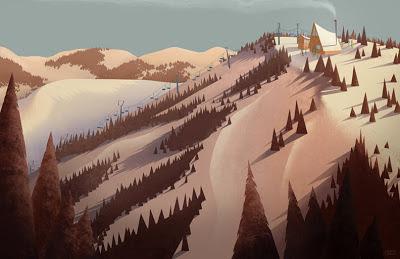 Visit http://www.animschool.com/Catalog/Catalog.aspx?Mode=1&LangID=1, for classes starting January 2, 2013. 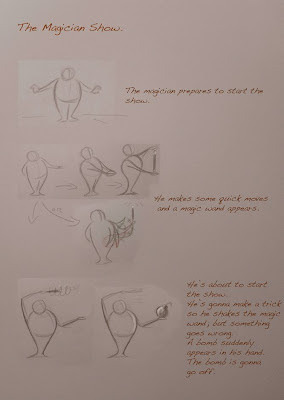 AnimSchool Instructor, Mike Mattesi, shows how to draw an appealing pose by using the force of straight to curved lines. AnimSchool offers Mike Mattesi's drawing class to all students signed up for current terms. This term Mike is focusing on Force in Anatomy. 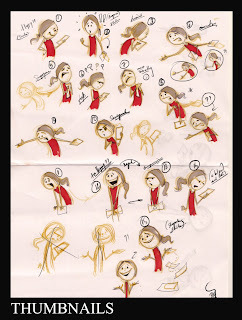 JP Sans reviews AnimSchool student Jorge Feres's character walk from his Animating Characters class. Here JP goes over fundamentals and how to push poses to help create contrast in a shot. AnimSchool offers General Reviews for 3D modeling, rigging and animation students every week for those who can't attend their normal class review, or for those who would like an extra critique. 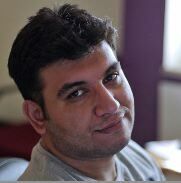 AnimSchool would like to introduce, Animation Program student, Ala'a Hanish. Can you tell us a little about your background? What brought you to AnimSchool? Well, before animating I was programming. During my second year at a university I took a Computer Graphics class, I remembered the first lecture when the professor showed us examples of CG! My feeling at that moment was as if you take a child trip into space for the first time! Then the professor played a trailer that I hadn't seen before, Disney’s Dinosaur, and told us that all the animation was done on a computer, this is how my dream was born. I started learning animation by myself by reading a lot of books, watching hundreds of animated movies and practicing everyday. I downloaded free rigs from the internet and started animating. I was always looking for appealing characters with great instructors living under same roof, a place where I could fall in love with the characters that I’m animating and an instructor who would guide me through it all! I found all this at AnimSchool. What inspired you to get into animation? What do you enjoy about animating the most? The idea of bringing a character to life. I remembered when I animated a character for the first time and saw it on my screen, I screamed out: He’s alive, He’s alive! 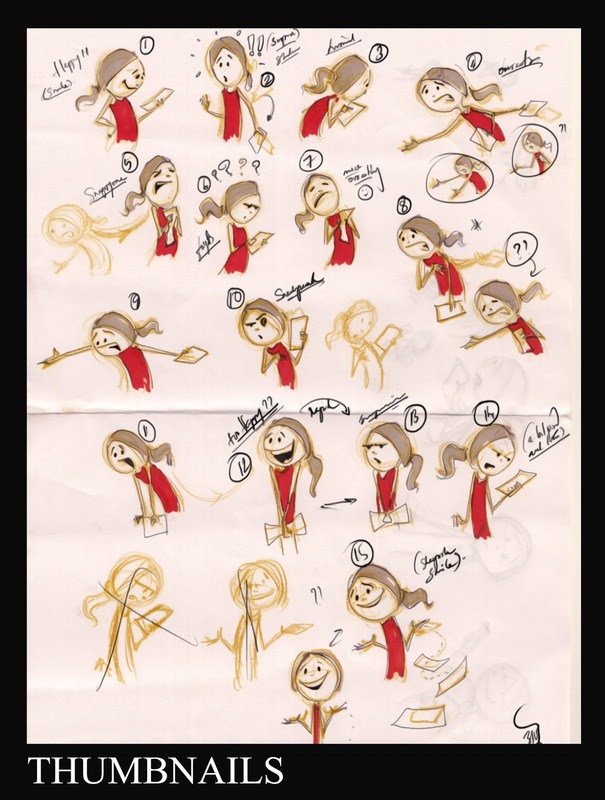 You don't know how beautiful that feeling is, unless you're an animator. I always try to build a relationship between me and the character to become real or “alive,” not just a file or pen on paper anymore. What are you thinking about when choosing dialogue for you animation test? I'm Always looking for challenging and deep dialogues, something different than my personality. I try to live the dialogue. I love the silent moments in the dialogue where the character is listening to somebody or thinking of something; in my opining these areas are where the animator shows his capabilities as an actor. 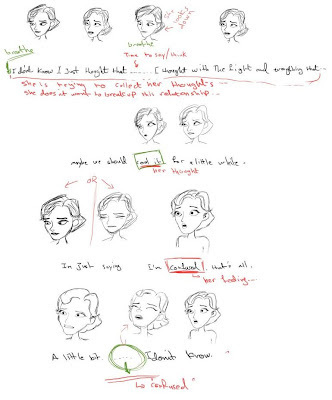 So far you've done 2 tests with AnimSchool's female character Marnie, How did you make each character feel so different from one another in your tests? Before I start animating, I always put myself in the place of my character and get inside their head as much as I can. I believe knowing your character well, will help you cross half of your animation. Even if I have 5 or 10 seconds of dialogue, I always try to come up with a story staring my character. This always leads me to knowing my character very well. 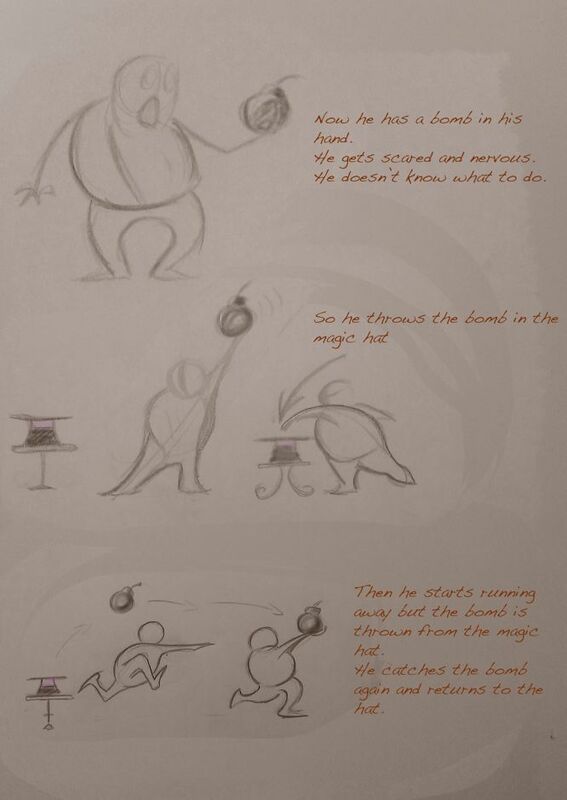 I think this is the best thing that I learned at AnimSchool. Also, the critiques that my instructor gave to me about the character itself, not about animation or Maya, not at all, it’s about performance. How has your experience been at AnimSchool? What is your favorite thing you've learned? Wow, that's a hard question, my experience at AnimSchool has been amazing, learning from the top animators of the industry. This in itself is a great opportunity. I mean, one term left for me, and until now, I cannot believe that the Instructors who teach me are the same animators who animate my favorite movies. And once the term is done it's not over, the instructors continue to see your work and give you feedback. They always push you to the next level. What's the best thing I've learned from AnimSchool? Well, believe in myself and feel confident. What advice would you give other students that are just starting out? Practice, Practice and Practice, don’t be afraid of changing your whole animation. Take advice from everyone, and learn quickly how to take it well and make it your own. 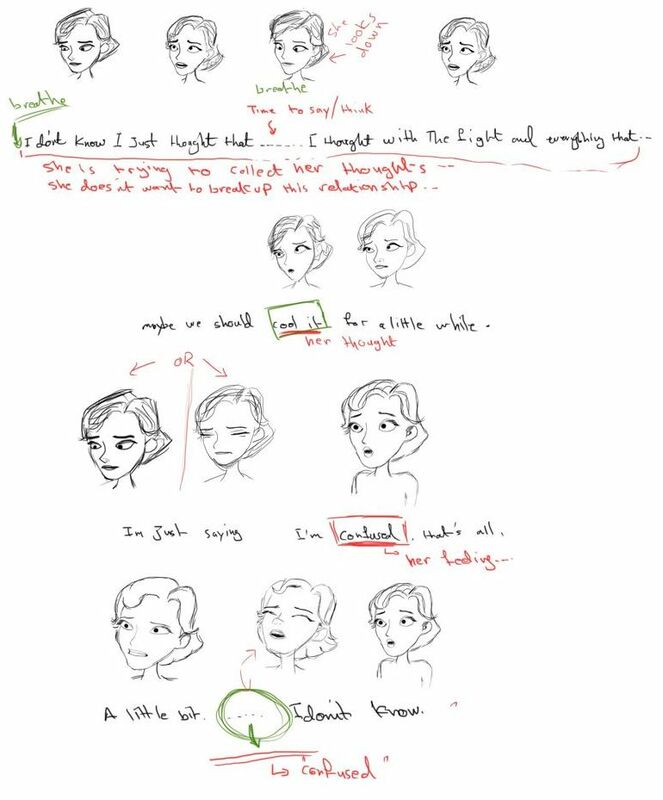 One more thing that I find very helpful during critique time, is to look at your classmates' critiques carefully, not only yours because maybe the instructor gives them some feedback that could help you to improve your next animation. In AnimSchool's Advanced Rigging class, Instructor and Blue Sky Character TD, Chris Pagoria, shows how to easily transfer facial blend shapes after changing your characters mesh. Welcome Jackie, can you tell us a little about your background and how you got into animation? I went to school originally for Graphic Design in my home town of Vancouver, Canada. Upon graduating 4 years later, I entered a New Media and Technology 6 month program which was my first step into animation. I remember them showing us Jurassic Park to explain what animators could do. I was hooked. I completed the program and then took classical animation night classes for a year. At this point, I knew I needed to animate something new for a demo reel. 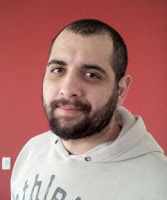 So, I quit my non-animation job, gave notice on my apartment, put all my furniture in storage and moved into my sisters basement for 3 months to animate something for a demo reel. While not fabulous by today's standards, that animation was enough to get me my first job! 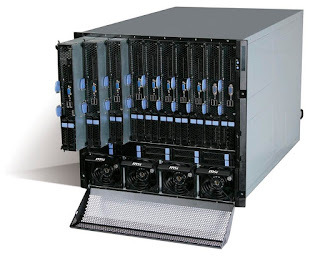 I was hired by Mainframe Entertainment in 2000. Mainframe began the first 6 years of my animator career where I worked in TV and Direct to DVD movies. I left Mainframe to do the "crunch jump." Working on 3 different feature film crunches in a row which were 'Happily N'ever After,' 'Night at the Museum' and Blue Sky's 'Ice Age - The Meltdown.' My temp job on 'Meltdown' eventually turned into a permanent offer, and I've been at Blue Sky ever since! What is your favorite type of character to animate, and why? Do you have a favorite type of scene to animate? I can't say I have any one particular favorite character. My interests seem to change from film to film. Today, my favorite characters to animate are humans. I've worked on a lot of animal shows and its interesting to try something new. I'm enjoying searching for natural gestures and emotive body language and expressions. My favorite scene to animate is emotional acting shots. The more I can feel and relate to the scene, the more I enjoy it. On Rio you were the lead on Marcel. What were some of your thoughts when coming up with appealing poses for the villain? I started my research & development on Marcel with Brazil. 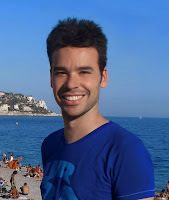 Marcel is from the Favelas, which are the shanty towns of Rio de Janeiro. I spent a lot of time hunting for information on the Favelas such as articles, documentaries and images. Once I had a grasp of where he came from, I started to think about who he was, how he carried himself, and what his background was. The best resource turned out to be the movie 'City of God' and the ruthless gangster boss Mané played by Seu Jorge. Mané was a huge inspiration for Marcel. The way he carried himself, where his center of gravity was, how he held his head high so he could look down at others always with a relaxed but "tough guy" stance. Mané was a dark character with one of those unpredictable dangerous smiles. Great stuff! What was the most challenging character you've animated? What made this character so challenging? 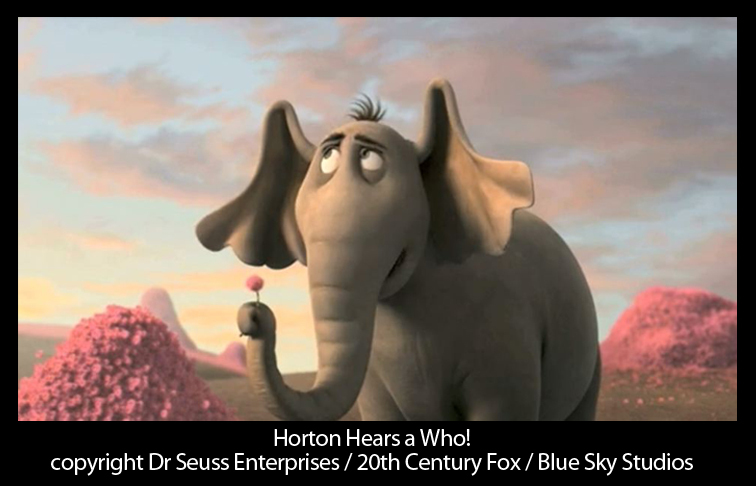 The most challenging character I've animated was Horton from 'Horton Hear's a Who'. I put a lot of pressure on myself to do well because I was still pretty new to Blue Sky (which was stacked with talented animators!) and was still in the first year or so of my feature film career. Horton was a beloved childhood character of mine, he was also very expressive and cartoony in the story boards and he had really juicy dialogue from Jim Carey. 'Horton' was both challenging and exciting at the same time. There are many steps in animating, from planning/video reference to splining, what is your favorite step when doing a shot? Why? Do you have a least favorite? My favorite step when working on a shot is the polish at the end. At this point, the idea is approved, the execution is there, now it's just hunting for cool details to add to and plus the shot. My least favorite step of a shot is the first day or two of splining. Those couple days where I'm cleaning curves, poses and timing. Out of all the films you've been a part of, what film have you had the most fun working on, and why? 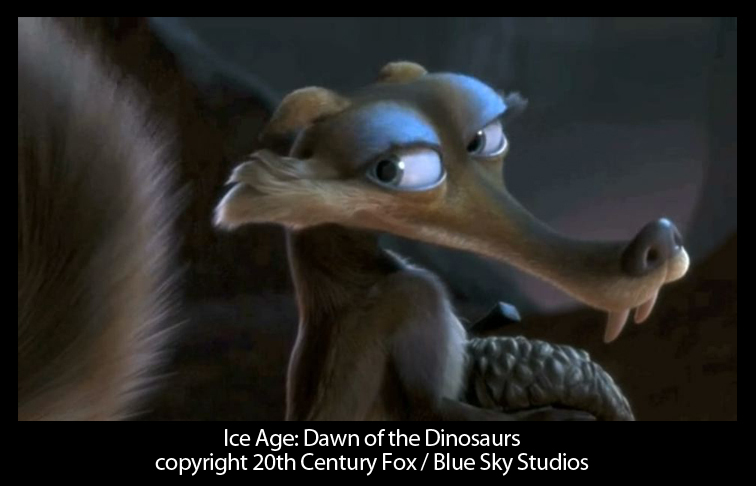 I had a great time on our most recent film 'Ice Age - Continental Drift'. I was the Lead on Shira, Diego's rival and love interest. Jennifer Lopez did a great job on the read, and Shira's sassy and strong personality was a lot of fun to animate. 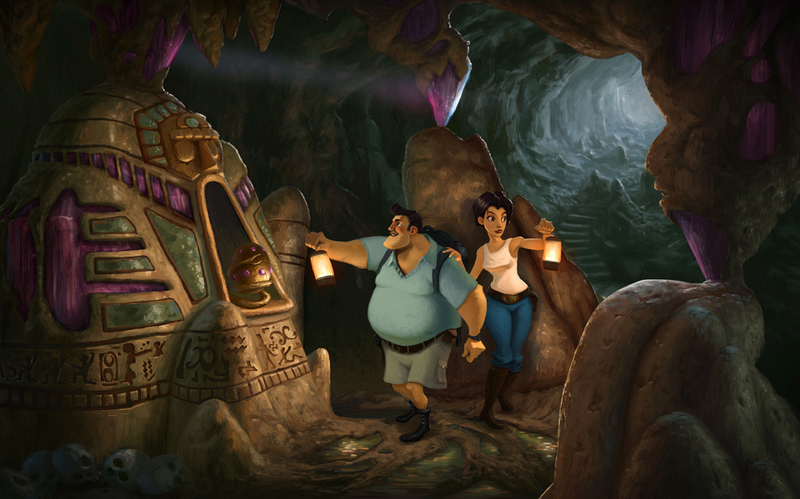 Lastly, Do you have any advice for student animators? Perseverance. That's what I think students need most of all to succeed. Animation is a very complex theory to grasp, and the software is equally challenging when you are first starting out. Accept that you will spend hours and hours at this before you start to grasp it all. Keep at it, keep pushing yourself. The second most important thing is to learn how to take constructive criticism for what it is... constructive! This goes for school and work. Animators get daily critiques from Directors, Supervisors and/or Leads, the sooner an animation student gets used to critiques, the better. AnimSchool Instructor and DreamWorks Animator, Tyler Phillips, breaks down the mechanics of a realistic eye blink for students in his Facial Performance class. AnimSchool's founder, Dave Gallagher, gives great modeling tips while demonstrating how to achieve character appeal, when reviewing Gustavo Forster's 3D model. AnimSchool would like to introduce Jim Donnelly. Jim, can you tell us a little about your background and what 3D experience you had before entering AnimSchool's 3D Character Program? 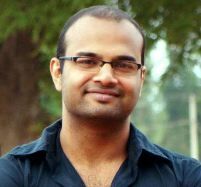 I come from a traditional film background. I started off working as a camera loader and later as a camera operator for music videos and TV. As a lover of visual storytelling, I've always been intrigued by the power of 3D animation, but was a bit intimidated by it. I thought that working in CG required a degree in computer science. It wasn't until I played around with a friend's copy of 3ds Max that I realized I could actually make 3D art. My first piece was a cube and I'm still proud of it. From there, I was completely hooked. I tried to teach myself as much as I could about 3D modeling before eventually taking some classes in Maya at the Rhode Island School of Design. What peaked your interest in becoming a 3D Rigger? What do you enjoy about rigging? My interest in Rigging came as a result of wanting to do more with the models I created. I absolutely love the modeling process, but once I've completed a character, I find myself wanting the ability to play with it a bit; try new poses, facial expressions, etc. Learning how to create and install the controls that would make this possible was the next logical step for me. As it turns out, I enjoy it a lot more than I thought I would. It's a part of the pipeline that has its own unique set of challenges and utilizes several different skills. For me, it's the perfect mix of visual art and technical problem solving. It also rewards my need to stay organized! Oh wow, there are so many artists that inspire me. Like many interested in 3D animation, I've been inspired by Glen Keane, John Lasseter, and Brad Bird. Their ability to push boundaries and further the medium has been nothing short of amazing. I'm also astounded by the work of fairly recent digital sculptors like Laurent Pierlot, Alessandro Baldasseroni and Rafael Grassetti. Their attention to detail is just incredible. But, I also have to mention that AnimSchool's own Marty Havran actually played a role in kick starting my fascination with 3D. I was just starting to study cinematography when I saw the film 'Contact' in the theater. There were a couple of shots in that movie that just did an amazing job of playing with perspective and seamlessly blended cg with practical elements. I remember buying the issue of American Cinematographer with 'Contact' in it so I could read how they pulled those shots off. It totally blew my mind when I saw Marty's reel and learned that he worked on one of the very shots that I was obsessed with. What a crazy coincidence! Looking back at past 3D films, is there a character that you would have loved to model or rig? Why? What do you like about the design/character? 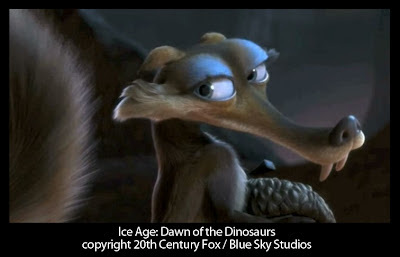 I would have loved to model and rig Scrat from the Ice Age films. I just find that character's design to be so appealing. So much is communicated without even speaking. It's hard not to smile when he first appears on screen. And I think the challenge of designing a rig for a such a dynamic character whose body is subjected to nearly every force of nature would be a lot of fun too. The poor guy is such a glutton for punishment. 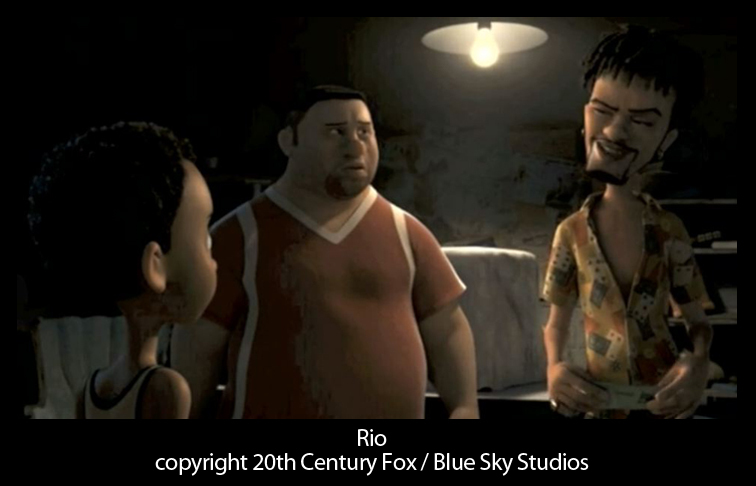 Now that you've had a couple rigging classes at AnimSchool, when you watch a 3D film do you see it differently? How? Absolutely. I'm so impressed by the amount of thought and effort that goes into creating a feature rig. Before taking these classes, I hadn't truly considered the amount of design challenges you'd encounter when trying to accommodate all of a character's particular animation needs. 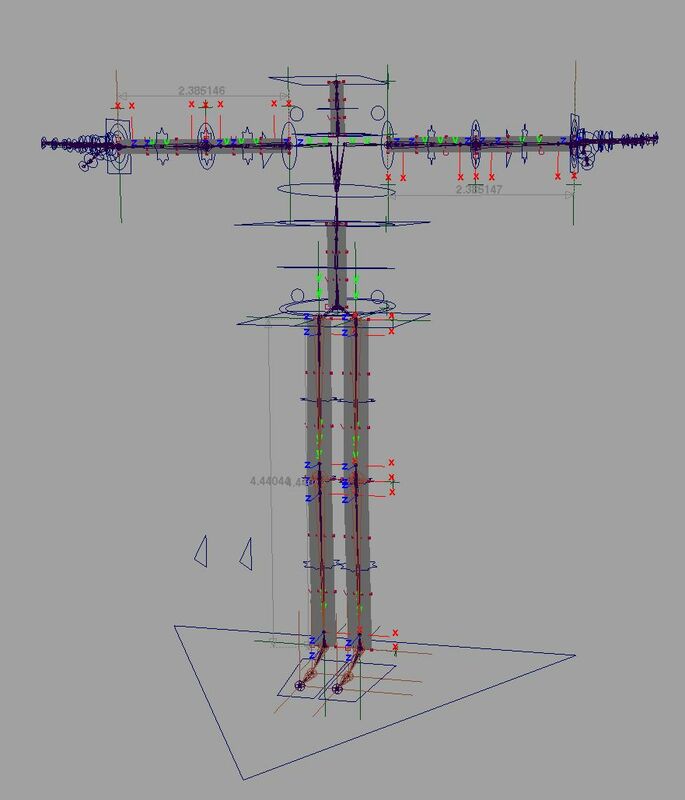 Rigging not only requires a firm grasp of anatomy and body mechanics, but you have to understand the technical hurdles within the software as well. I have a much greater appreciation for all of the hard work that goes into these films. 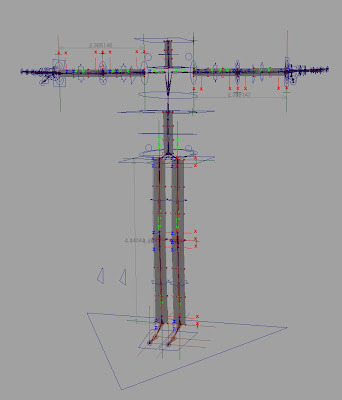 After having the rigging classes has your thought process behind 3D modeling changed? Yes, totally. I think I'm much more economical with my modeling now. In the early stages, I try to focus on conveying as much detail as I can without the weight of unnecessary geometry. After having rigged a character, I can now fully appreciate the importance of proper edge flow and knowing where to strategically place resolution for clean deformations. I think it's great that we're exposed to different areas of the pipeline so that we can directly see how our work impacts others down the chain. How has your experience been at AnimSchool? My experience at AnimSchool has been phenomenal. Learning directly from the people who have helped create some of my favorite animated films is a truly rewarding experience. Just the breadth of practical knowledge being taught by our instructors, who are dealing with real-world production challenges day in and day out, has been priceless. The classes are so well-structured and thorough that no questions are left unanswered. There's a strong sense of community at AnimSchool as well. Fellow students are very encouraging and supportive. And, because the classes are live, I feel close and connected to people who are on the other side of the globe. It's pretty cool. I've had the desire to work in this field for quite some time, and through AnimSchool, I'm finally starting to feel the confidence I need to reach that goal. We're proud to present some of the great animations and characters our students have been working on. Come join the over 150 students now studying at AnimSchool. AnimSchool Report from Siggraph 2012! 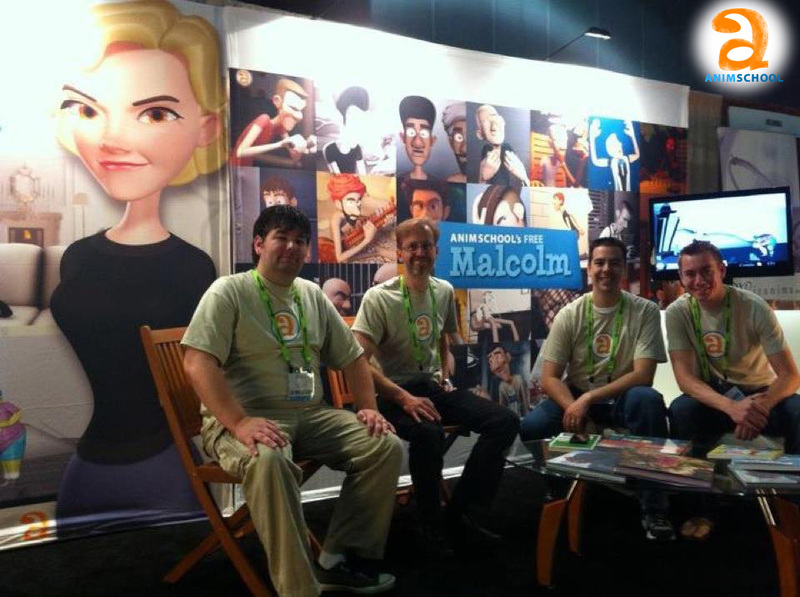 AnimSchool was in full force at Siggraph 2012 last week, August 7th-9th! For three days, hundreds stopped by our booth to learn about the offerings we have at the school. 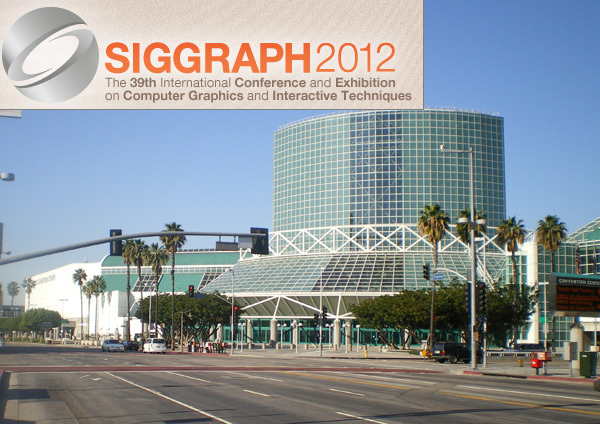 Siggraph is the most popular conference on computer graphics, with approximately 20,000 3D students and professionals attending presentations, panels, and walking the show floor. We had four 3D animation film pros in addition to staff and students on hand to interact with interested conference-goers. We answered questions about our 3D animation programs and the process of learning online. Some came just to take pictures of our attractive booth, which glowed brightly and offered a warm and inviting space for Siggraph attendees. 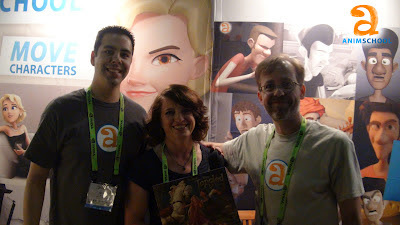 The booth art highlighted AnimSchool's world-famous characters and wonderful student work. We were treated to a compilation banner of the many uses and mods of AnimSchool's free "Malcolm" character. Malcolm has been downloaded by over 8,000 users worldwide, and has been called "the best rig I've ever used" by top animators and animation contest winners. AnimSchool pros reviewed student reels free and offered detailed critiques to help them in their learning. AnimSchool 3D animation pros from Disney, Dreamworks, and Blue Sky Studios reviewed the animation work of conference goers, whether students or professionals. It was a popular offering, with a line forming for the free demo reel and portfolio reviews. 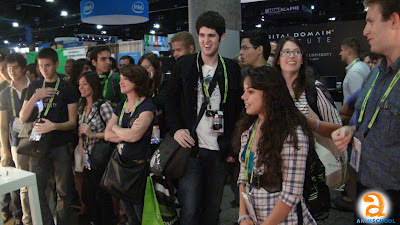 But the most popular event at the AnimSchool booth was the free giveaways near the end of each day. AnimSchool gave away dozens of T-shirts, free online-critiques, and the most anticipated items: free animation art books! AnimSchool's Mike Mattesi's Force Animal Drawing! 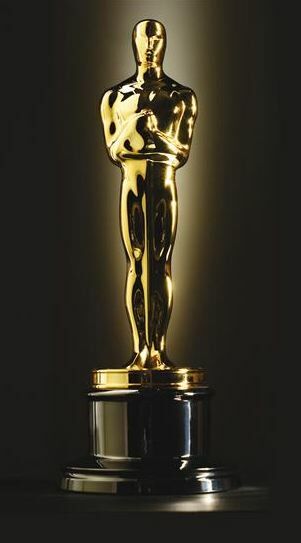 And the grand prize of the conference: a half-price tuition discount on a term at AnimSchool! There were many happy prize winners at the AnimSchool booth last week! For many, AnimSchool was already a familiar school, famous for our Malcolm character and impressive programs, but others learned of us for the first time. 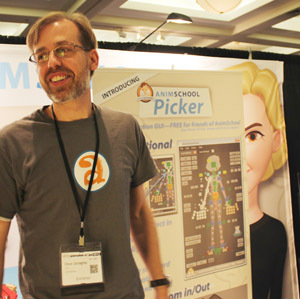 Many visitors to the booth expressed a desire to learn with us at AnimSchool. We'll be seeing some of them in the months ahead online at AnimSchool. From all of us at AnimSchool, see you next year! 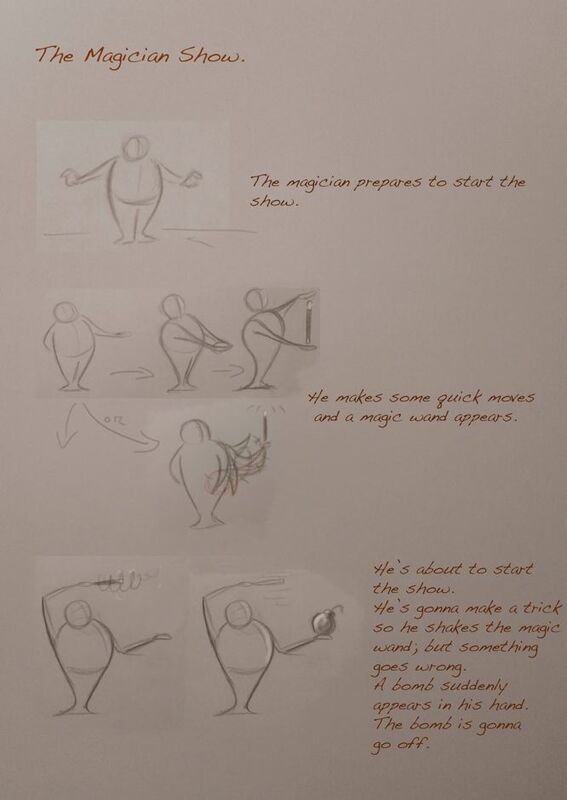 This clip shows a portion of Jeff Gabor's review of Keith Seyer's animation, from his Body Acting class. In this assignment students learn storytelling through pantomime acting. AnimSchool has these General Reviews every week for students who can't attend their normal class review, or for those who want an extra critique. This term we welcomed Jeff Gabor onto the staff of General Review instructors. Tony Bonilla and AnimSchool founder, Dave Gallagher, also take part in General Reviews. AnimSchool Instructor, Mike Mattesi, does an exercise showing how to use grids as a starting point for character design. 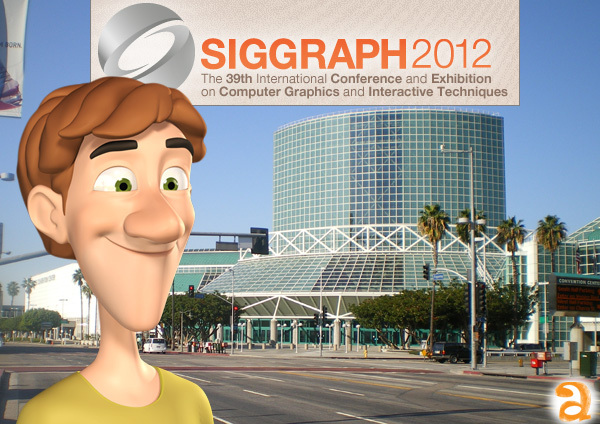 Going to Siggraph in Los Angeles next week? Stop by the AnimSchool booth! The exhibition is August 7-9 at the Los Angeles Convention Center. 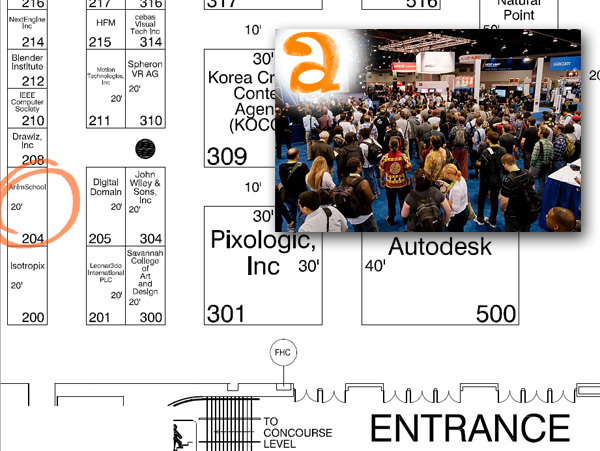 We will be there with THREE 3D animation professionals to chat with conference-goers all day. We will be offering reel reviews several hours each day. 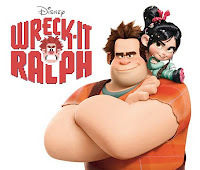 Come and have your work reviewed by our animation pros from Blue Sky Studios, Dreamworks, and Disney. Come ask your questions about AnimSchool or just say hello! Today I got the chance to interview talented animator, Aulo Licinio, who placed runner up in April's 11 Second Club competition. Aulo, thank you for joining us today! First of all thanks for having me here, I'm very happy with this opportunity. I think I got into animation mainly because of my father. Not that he's an animator, but he forced me to watch cartoons with him when I was younger. It was the kind of thing that I would like to go out and play, but he forced me to stay inside accompanying him with his cartoons. There was another situation, when I was a little older and “got into videogames”. That made my grades go way down and eventually my father always ordered me to go study and let the videogame go. One day in defiance I said that I would work in games someday, which was what really turned out to happen. I don't know why but I simply couldn't get this out of my mind. 11secondClub April 2012 from AuloLicinio on Vimeo. There are a lot of rigs out there, can you tell us why you decided to use AnimSchool's female Malcolm Mod Rig for your animation? 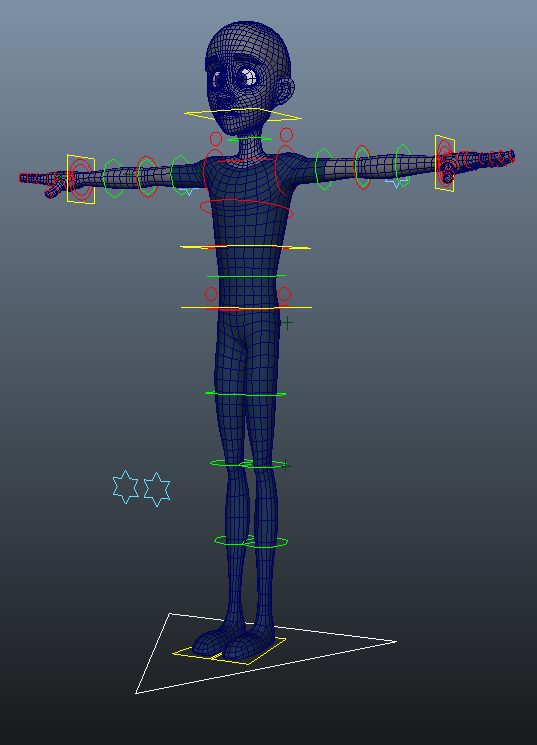 For a long time I was trying to test the Malcolm Rig, I think since it came out. I looked at other animations and his flexibility looked amazing. I just kept imagining all the things I could do with it. Then, finally I got some spare time to test it out. What were some additional modifications and adjustments you made to the rig to suit the purpose of the story? Since it's an old lady talking in first place, I had to see if I could get her to look older than the actual model. After a quick “study” of the rig, I could spot the parts of the mesh I needed to tweak. The loops are actually good, so that a basic mesh sculpt would do it. Another good thing is that I only showed the upper body, so I wouldn't have to worry about the legs or a dress. The earrings, necklace and glasses had a simple hierarchy (ConstrainGroup/ControlGroup/Mesh). You had a lot of great subtle animation in your shot. 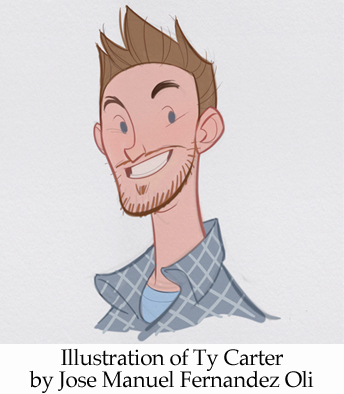 What were some of the challenges you were faced with when animating? Did the AnimSchool Rig meet all you expectations? About the rig, I have no complaints at all. Actually, I think that I didn't push it far enough in some parts. The subtle animation was a big challenge itself, but since the start of the shot I knew that I would like to put in a lot of details, and I wanted to go with a pose-by-pose mixed with a lot of straight ahead animation. This way I could plan myself better to accomplish the deadline. Having to manage my spare time was the biggest challenge of all. I pretty much had a little more than 24 hours divided in some weeks (1-2 hours per day). To achieve this, it took me some planning as well. I guess it’s to continue studying and trying to get better. Right now I'm focused on some small projects/shots and I'm hoping one day get to direct my own short film. We'd like to thank Aulo Licinio for taking the time to share his experience from the April 11 Second Club competition. AnimSchool would like to introduce Angel Antelo. Before AnimSchool, did you have any other experience with animation? I actually had no experience in animation.I just had a slight prior idea of how Maya software worked due to some online tutorials I could find at that time. Also some books like the well known "Survival Kit" began to guide me through this world and not much more. So everything has been new for me. Why do you want to become an animator? I guess it's the simple dream of a child. It's something that captured my attention since I was just a little boy. I remember watching some Disney movies back in the day: Aladdin, The Little Mermaid, The Lion King... I remember how much I enjoyed them and how they sparked my interest in drawing. They created a hobby and a passion that I still carry with me today. One of the things I remember was when they showed the "making of" from one of these movies on TV; I loved to watch how they made those drawings, animations, visual effects... I recorded it on a video tape and watched it over and over again. I liked to watch how they carried out all that work, which tools were used. I would just watch all that super-complex stuff on the screen of their computers which I couldn't understand. I was fascinated. It was something that I was delighted to see, and loved. To get a glimpse of that creative environment, the people whose jobs were to create different worlds that we could enjoy later. I just remember watching all that and thinking to myself: One day I want to be part of that. What inspires you to work hard towards your career goals? It's related with the previous answer. It is doing everything in your power to reach that goal. That dream. The goals are still far away. Someday being able to do something that could captivate, excite, thrill or just make someone laugh. Create something that people can enjoy. I still have a lot to learn to get even close to that point. What is your favorite animated film from your childhood, and what is your favorite film now that you're an adult? What do you think makes these films special? What do you enjoy about animation the most? Maybe it's a bit hard to answer or explain. It's like "creating life" from scratch. At first you find that character, on your screen,and it seems like a toy with nothing inside, staring lifelessly into the distance, as if he had just seen Death wearing high heels and eating tacos. It's like when you're drawing, it's a blank canvas. You have countless possibilities where the limit is a road sign with "no limit" graven with fire on it; it's where the imagination (and your current knowledge, of course) takes you. learn. Even right now, answering these questions amazes me; about 18 months ago I learned that the little red stick is a "keyframe" for example... I've barely begun this journey. If I’m sure of one thing, then it’s that I cannot express how happy I am with this experience. But probably one of the best things, beside the great teachers, beside the assignments, beside the awesome rigs provided, is all the amazing people you meet from all over the world. People who like and love the same as you do. It has created a little atmosphere that makes you feel at home and supported in this great adventure. They become your friends... and that's priceless.